We guarentee that all our fish are responsibly sourced. Like our fresh handline-caught tuna. Waitrose fully supports the Greenpeace campaign to end the sale of tuna caught with the use of fish aggregation devices used in conjunction with purse seining. Waitrose will not introduce any own label or branded tuna products produced from tuna caught in such a way. All Waitrose own label skipjack tuna is pole and line caught from Fish Aggregation Device free fisheries in the Maldives. Since April 2013 all the skipjack tuna used in our business, both canned and in salads and sandwiches, has been certified as sustainable by the Marine Stewardship Council. 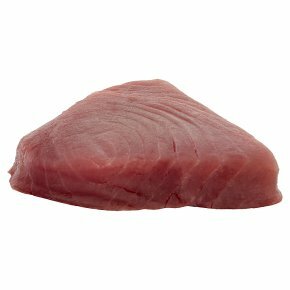 INGREDIENTS: yellowfin tuna (Thunnus albacares) (fish) (100%).